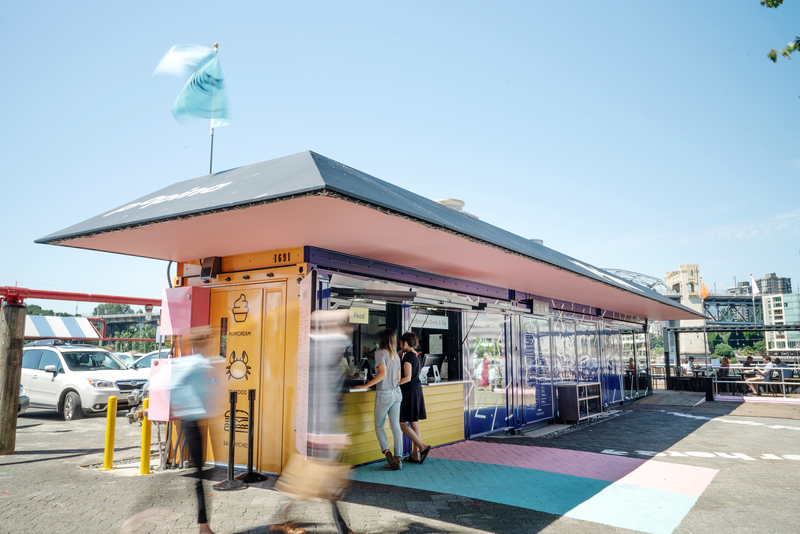 Popina Canteen is housed in a shipping container on Granville Island. Seafood tray with lobster, Dungeness crab, pink scallops, shrimp ceviche, and tuna crudo. 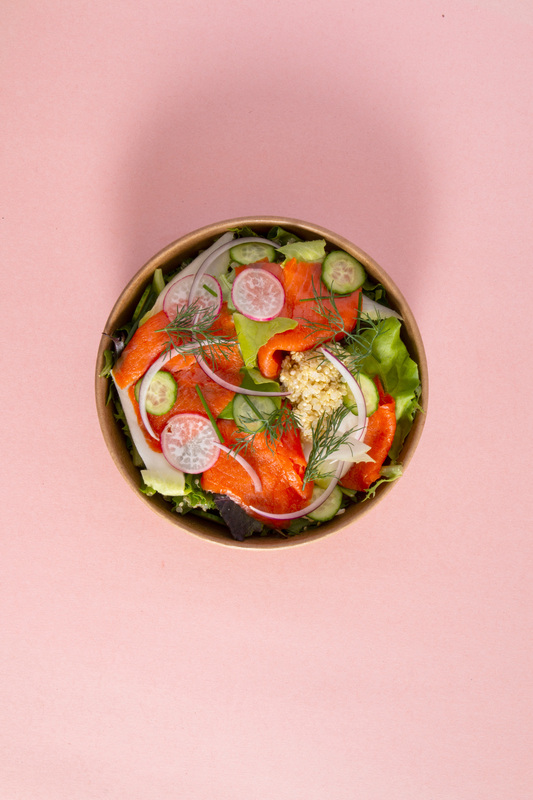 Smoked wild salmon & quinoa salad with sour cream and dill dressing. 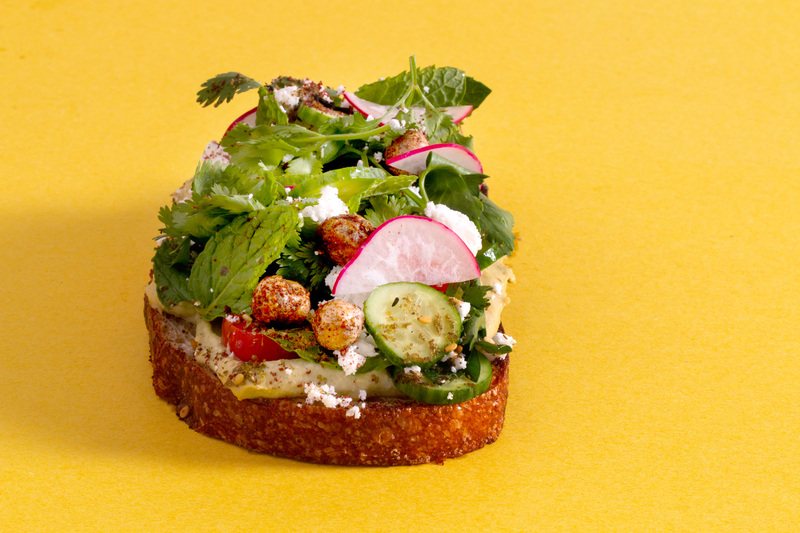 Hummus toast with cucumber, feta, and walnut. Fast, fresh food on Granville Island. A dockside shipping container beneath a bustling bridge may sound like a discreet venue for a new eatery, but when the setting is a Vancouver staple like Granville Island, and the menu comes from not one celebrated local chef but four—suffice it to say that Popina Canteen shines brighter than any hidden gem. Opened this July, Popina is the brainchild of Angus An, owner/chef of Maenam; Robert Belcham, co-owner/chef of Campagnolo; Hamid Salimian, culinary instructor at Vancouver Community College and former executive chef of Diva at the Met; and Joël Watanabe, chef/co-owner of Kissa Tanto. 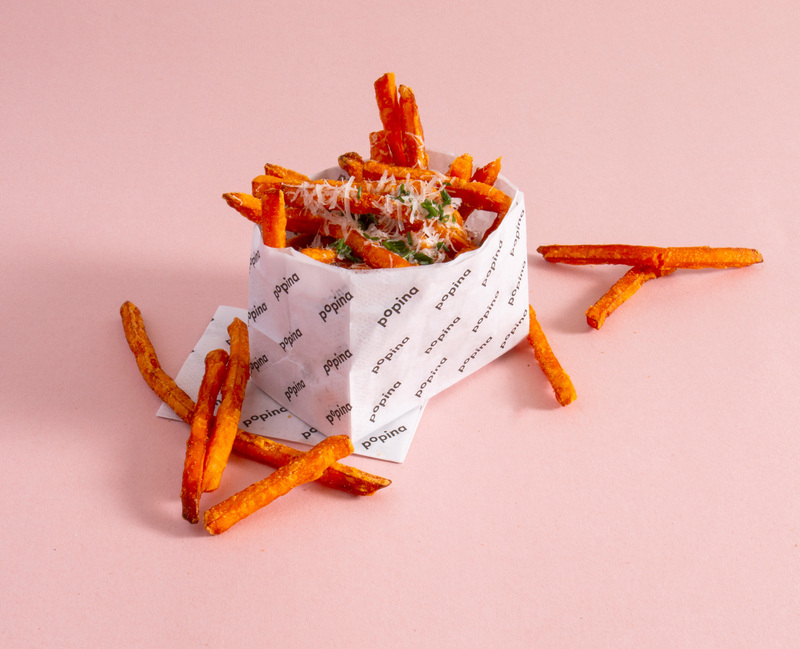 With Popina, the quartet have harnessed their prowess to present a fresh take on fast-food favourites—emphasis on fresh. 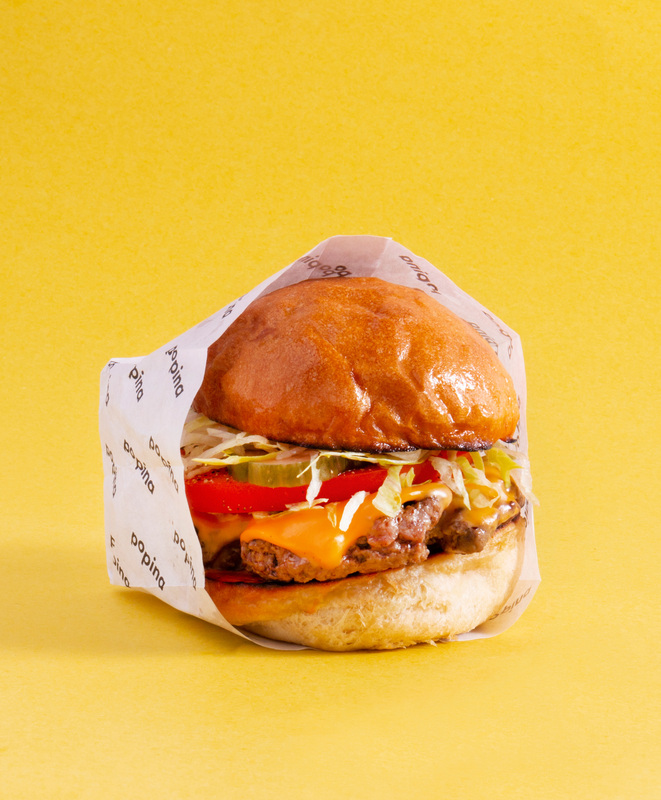 Ingredients are either local (grass-fed beef from Pitt Meadows and B.C. albacore tuna), crafted in-house (falafel and dipping sauces), or sourced from top locations (New Brunswick lobster and Saskatchewan legumes and lentils). 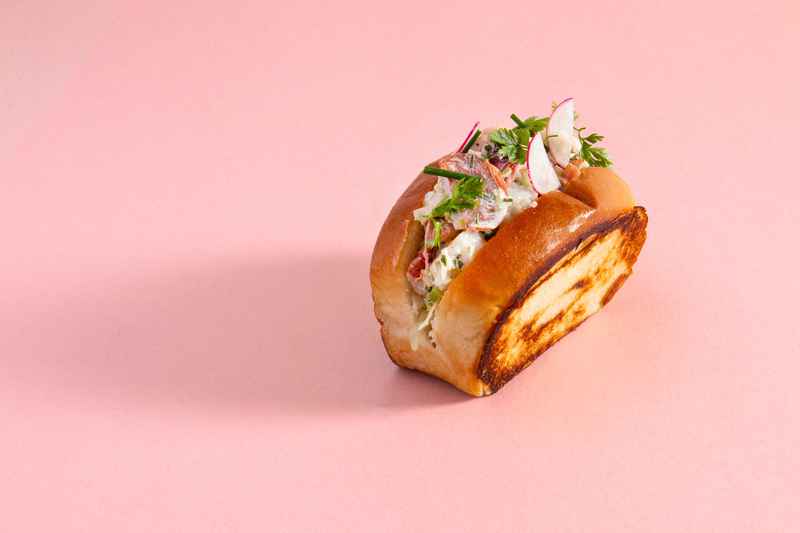 Find them expertly assembled into sandwiches and salads, and stacked atop crisp slices of toast. 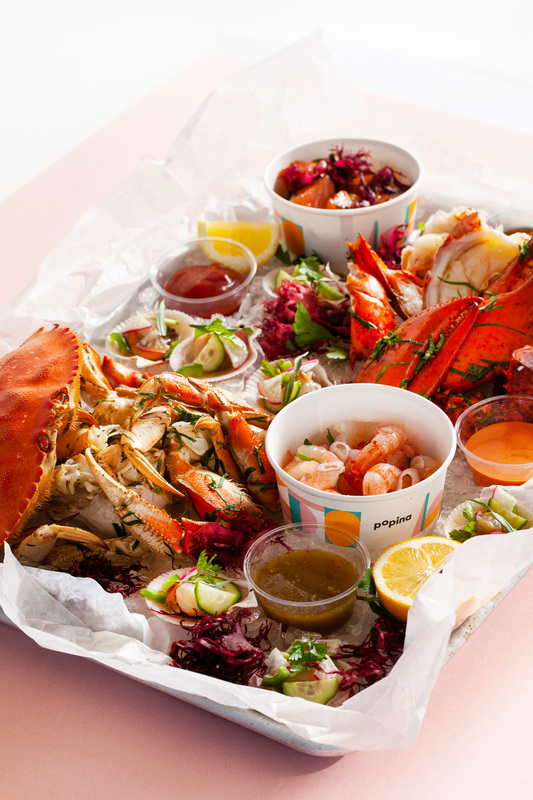 The pièce de resistance, however, are the seafood trays. This is not the time to be bashful; put the provided bib to work and tuck in. 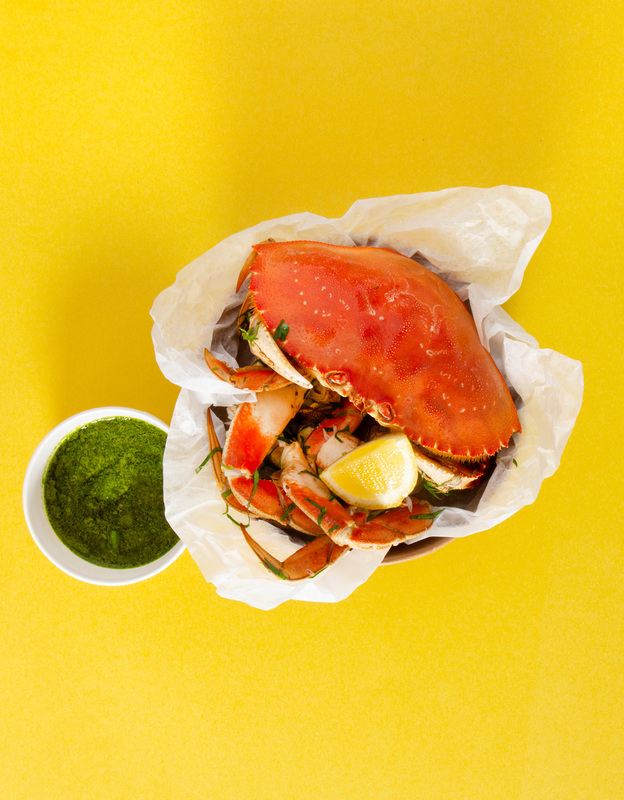 Anchoring a tray is a whole lobster or Dungeness crab (or both) accompanied by four house-made sauces (ponzu, cocktail, nam jim, and smoked paprika aoli). To round out the platter: delicate pink scallops, marinated tuna crudo, and the standout shrimp ceviche—all harvested from B.C. waters. While Popina’s parklet can be covered and heated for year-round service, the False Creek–side seating is prime for patio season. When better to indulge in the drink menu, which boasts the Hoi Polloi lager created exclusively for the eatery in collaboration with Powell Brewery and Popina’s four signature bottled cocktails. While each chef contributed their own cocktail recipe, for dessert, they worked together to create the puffcream: a sweet take on chowder bread bowls wherein vanilla soft-serve is cradled in pastry with a rotating roster of toppings including salted caramel with toasted almonds, and crushed pretzels with chocolate and peanut butter. Popina is a warm welcome to all—the name, after all, derives from ancient Roman wine bars, known for serving boisterous crowds of commoners—and in the hands of Vancouver’s finest, delivers elevated and playful casual dining to the masses.